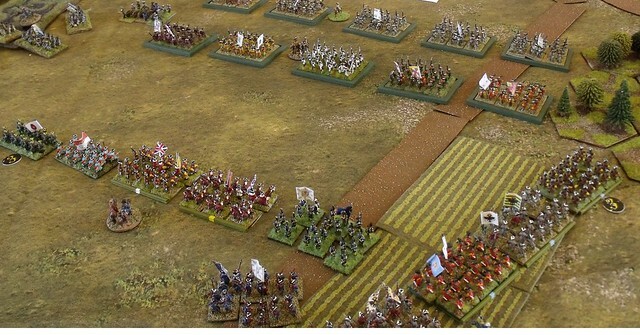 In the latter part of 2017 I found myself in that common wargamer's situation, that of pondering what to do next. After all, I only had 3 major projects on the go and they were all nearing completion (or at least what would pass for completion until I saw something new and shiny for them). 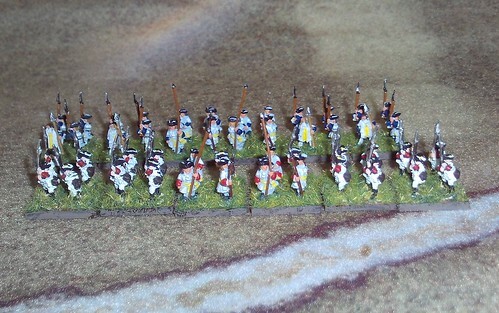 So I decided to construct an opponent for my 10mm War of the Spanish Succession French army. There was no desperate need for this, three guys at my local club have opposition armies, but, having been caught out in the past, I now make it my policy to have a usable force for both sides in any period/scale I collect. all three opponents were geared towards the Northern European theatres, being an Anglo-Dutch army, an all-British army and an Imperialist army. 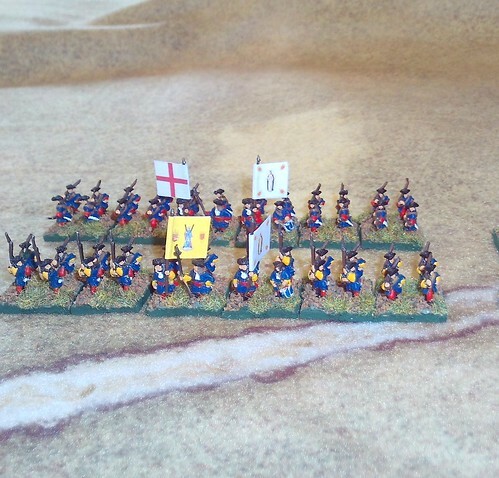 After staging a re-fight of the Battle of Almanza earlier in the year, I was rather taken with the somewhat neglected Spanish theatre for this war, so decided to base my new army there. The Confederate effectively had two field armies in the peninsular, one based in Portugal and one based in Catalonia. 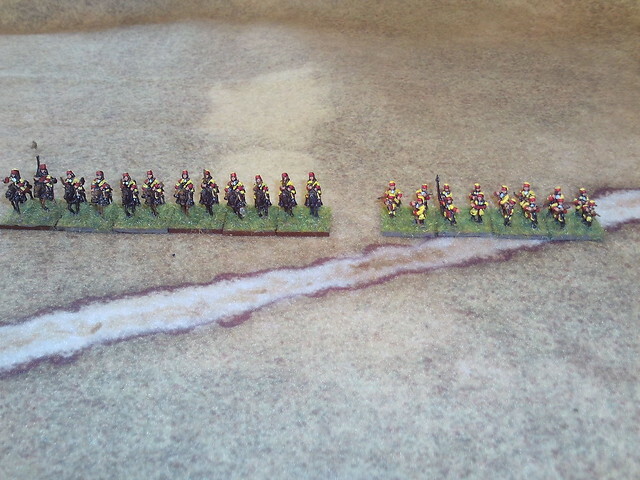 I decided to go for the army based in Catalonia, as I had already had 5 battalions of Catalan infantry. The first few posts should be quick to get online, as I already have some of the units finished, or at least just requiring basing. I too am smitten with that theater of the war. 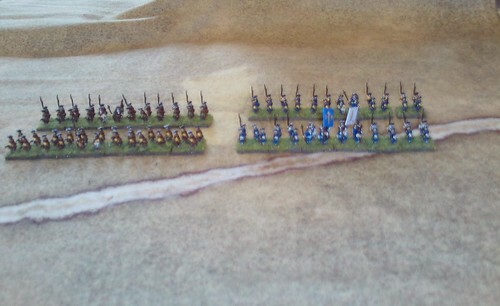 Mine are 28mm Wargames Factory for the most part. That man wins a cigar! 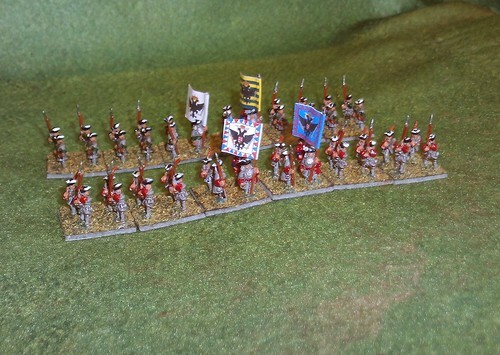 Looking at the dragoons makes me think I really should get some more of these to replace my current French dragoons with these little beauties. 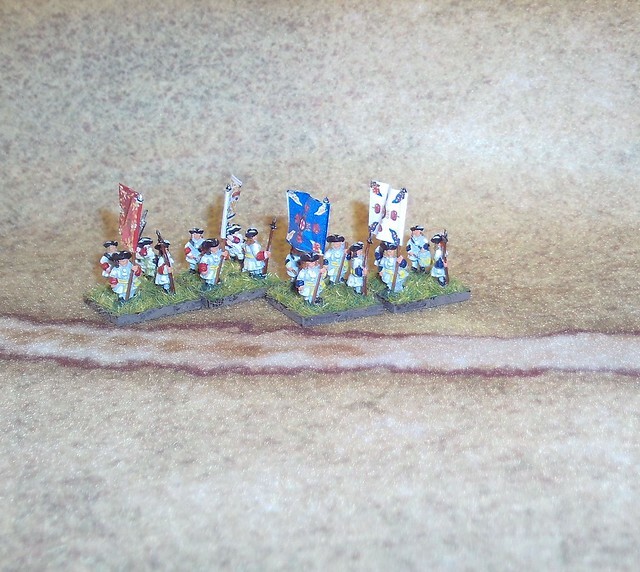 I've also added flags to my Dutch regiments. 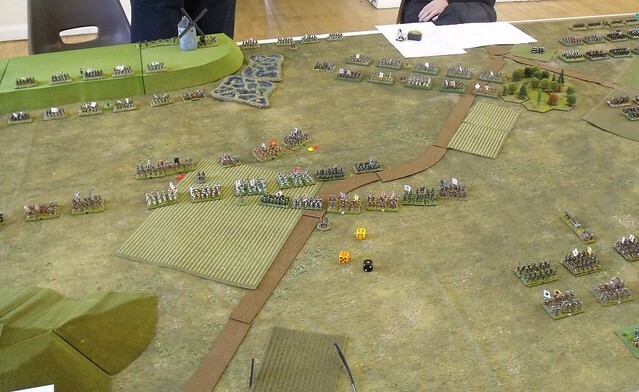 We played a refight of Saragossa 1710 at the last Tring Club Games Day, it was a lot of fun. but here's a couple to be going on with.